Our PRO-STREET-S offers you optimal sport performance without making big sacrifices in comfort. Due to its height-adjustability, the Pro-Street-S coil-over allows you to fine tune to your specifications. Our experience flows directly into our coil-over suspension systems through many years of in-house development, as well as manufacturing shock absorbers and ERS springs for the top series in national and international motorsports. 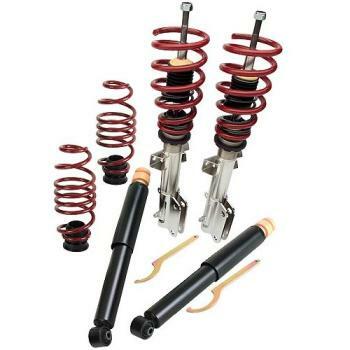 Additionally, the PRO-STREET-S shock absorbers are manufactured using stainless steel technology, to not only provide you with a sporting performance, but also the finest quality! This combination of tuning, production, application of high-grade materials and the utilization of spring elements from our ERS racing sport line results in a perfectly calibrated product in every regard.